Jack Hayford, founding pastor at The Church On The Way in Van Nuys, Calif. and the founder and chancellor of The King’s College and Seminary, is known for his keen insights on living for Jesus Christ. His seminar at The Cove, "A New Time and Place" will be streamed free of charge Friday at 7:15 p.m. on The Cove's website. How do you define Christian character? Hayford: The thing that makes the difference in Christian character is that we are answering to God foremost. Christian character is character lived out in the reverence for and respect for God, as opposed to simply honoring man. The “fear of God” is the biblical terminology for it. The fear of God is the starting place, but what it boils down to is the willingness to die to our own agendas, to die to our own conveniences. Genuine Christian character involves sacrifice, and that is something that the culture will not require of us. That is something that only faith will bring us to. We are called to be servants—not just honest people, but servants. Jesus cast it in the most severe terms. He said, “So you also, when you have done everything you were told to do, should say, ‘We are unworthy servants; we have only done our duty’” (Luke 17:10, NIV). Why are we so easily enamored with charisma and so slow to cultivate character? Hayford: People respond to charisma because a person with charisma is able to communicate to people the fact that they are worth something. People with charisma nourish hope. But character has to accompany charisma. A person needs not only affirmation but also discipline of mind and spirit. 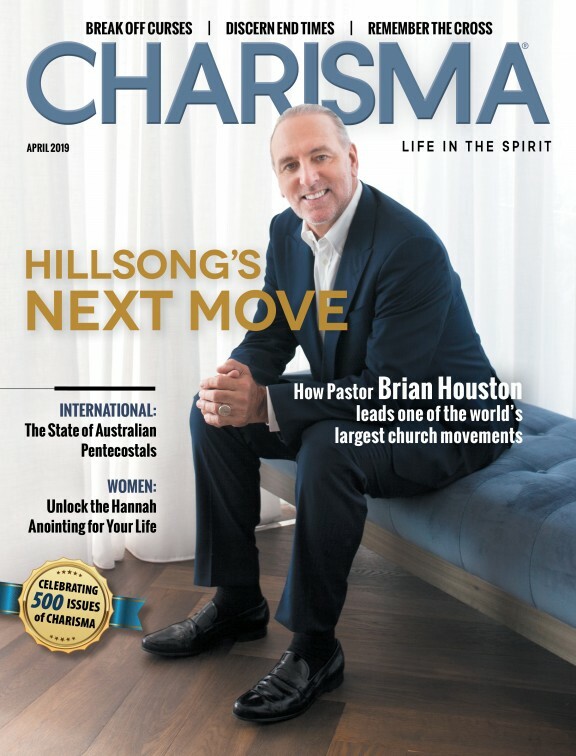 Charisma can satisfy people’s desire for affirmation. Character, according to Romans 5:4, produces hope. But character also seeks to cultivate the kind of disciplined life that bears the fruit of the Holy Spirit. I hear leaders all the time who talk about high dreams—God has this great destiny for us, and He is ready to bless us and to bring joy into our lives. That’s true, but it needs to be coupled with a tenacious faith that depends on and relies on God’s faithfulness. How do we practically apply “putting on the new man” that Paul talks about in his epistles?Hayford: It boils down to committing ourselves to a lifestyle of repentance. It has to do with defining repentance in terms of an immediate willingness to stand corrected on a moment-to-moment basis in our walk with Christ, as the Holy Spirit deals with us. The Holy Spirit dwelling in us will affirm our alignment with God’s ways, and He also will automatically, immediately signal us with an internal sense of His conviction. Our response to that—which is what I mean by repentance—literally means a change of mind, a change in course. We make a mid-course adjustment at that moment. We are in the middle of a sentence, and if we are wrong, we stop. It is not some climactic moment of “full sanctification,” but rather a process—the moment-to-moment, sanctifying work of the Spirit. So, in other words, we must count on God’s help to be holy men and women? Hayford: Redemption’s process in our lives has been made possible through what Christ has already done through His death, burial and resurrection. I’m banking on what He has done through the Cross. Self-effort isn’t sufficient for a holy life. We can’t. We have to go through the process. The key is to rest in the knowledge that in Christ, our “bill” is paid; to rest in the certainty that everything we need is covered through our relationship with Christ. This changes the approach to our quest for character, holiness and godliness. Instead of an effort to verify that we’re doing sufficiently well, we rest in faith in God’s sufficiency. This is pivotal, because to the degree that we think we can achieve a godly lifestyle apart from reliance on Christ, we eventually will become self-righteous. Christianity for such people becomes a club of the godly elite rather than a fellowship of the growing and the learning. In forming Christian character, how much depends on the role of the Spirit and how much on the cultivation of godly disciplines? Hayford: Human nature will tend always to want to keep control, but abandonment to the Holy Spirit is the fountainhead of real release. It is the joy that becomes our strength. Lots of people become uneasy when we talk about surrender to the Holy Spirit. The whole concept of opening up to the Holy Spirit’s fullness and joy is so much more important to believers’ lives than often is seen. Biblically focused evangelicalism tends to substitute the nurture and feeding of the Word for the fellowship and enabling of the Holy Spirit. There is no substitute for the Scriptures, obviously, but there is Spirit-led praise and worship from which we draw strength through the joy of the Lord. This strength enables us to live out the character of Christ and gives us perseverance for the journey. We need times of rejoicing in His presence as well as times of waiting. Isn’t sanctification really the cultivation and development of Christian character, which depends on the ministry of the Holy Spirit? Hayford: Absolutely! The Holy Spirit is the Sanctifier. Sanctification is by the Spirit. And, of course, the Spirit breathes through the Word. So sanctification can’t happen without the Word, but the Word must be accompanied by dependence on the Spirit. The ministry of the Scriptures and the Spirit are often most active in times of adversity, aren’t they? Hayford: The fires of trial not only test our faith but also refine our character. Scripture is clear that we are never exempt or preempted from that. There is no such thing as a victory without a battle. Often people dream of “the victorious life” as being some secret that we arrive at by so completely mastering every circumstance that there are no longer such things as trials. That simply isn’t true. Why is it that we often have to come to a point of being stripped of our self-importance? Hayford: Everything goes back to our growing into a walk with God. “His ways are not our ways and His thoughts are not our thoughts” (Is. 55:8). The only way we come to realize that our way isn’t working, and thereby discover His way, is by bumping our heads on it. It isn’t enough to get up in the morning and say, “Lord, Your way is better than mine, so lead me only in Your way.” He may do that, but we will frequently find His way by discovering that ours doesn’t work. We will not automatically go to God’s way; it is not in human nature to do that. We need to stop and ask, “Where am I pressing the wrong button?” The longer we walk with the Lord, the more readily we stop to listen. I recently came from a breakfast appointment at which I had a priority item I felt needed to be discussed. As the discussion progressed, I realized that my priority wasn’t God’s priority and that I would have caused greater confusion dealing with my issue. I could have exerted executive privilege by saying “I want this done,” but that would not have been following the leadership of the Holy Spirit, who obviously was telling me to wait on His timing. There is no question in my mind that if this meeting had happened 20 years ago, I would have gotten my agenda on the table that day! How would you define Christlikeness? Hayford: Christ lived out His character. Christlikeness involves functioning in His power as well as living in the character of His person. I am working on a book dealing with the fact that we have not seen the formation of Christ in people until, in the power of the Holy Spirit, they minister to human need as readily as they live out godly behavior. We have a disposition to define Christlikeness by “being nice,” and we overlook that it also means to be powerful in our use of the Holy Spirit’s gifts and power. Click here for the original article from BillyGraham.org.